Three-Year-Old Girl’s Amazing Rendition of Part of Your WorldThe cutest version you don't wanna miss! Before ‘Let it Go’ has frozen all our kids into singing, watch how a three-year-old little girl relive the memories of our underwater fantasies with her pitch perfect rendition of the Little Mermaid song. Let’s face it! Every Disney song is worth singing for. And who would not remember Part of Your World from the movie the Little Mermaid? Three-year-old Claire Ryann Crosby, from Utah in the US stuns the entire social media with her impressively perfect and cute version of Part of Your World. Moments like this needed not to be missed, thus her adorable Dad ,Dave Crosby was amused while capturing and recording Claire’s charming performance. This little tot makes singing her number #1 talent that often she spends her days singing any Disney songs and even drew a crowd of audience in a car shop. Her dad, who also works as a music editor for commercials and movies, enjoys editing Claire’s recording. “She would ask me if she did a good job; of course I would always tell her she did amazing and then she would run around the room celebrating,” Dave said. Aside from the fact that Claire can belt out a tune, she also knows how to accentuate the words just how Ariel did especially when she whispers some lines and does a little vibrato (Bravo to the vocal coach!) 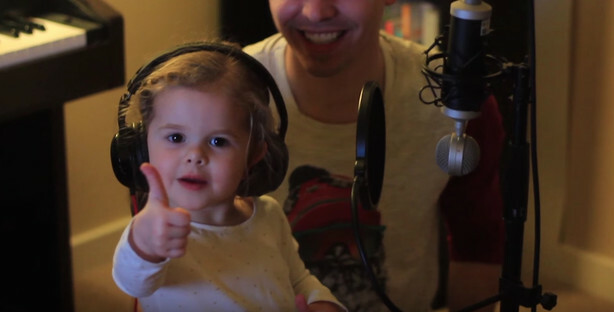 This adorable girl nails this songs like a pro! Her dad even revealed that little Claire needed no prompting to remember the words with correct intonation. “Somehow, she learned to speak and enunciate really well at such a young age, and I think that has made it easier for her to hear and understand the words so that she could memorize them. She has an amazing memory,” the proud Dad said. The video shows the little Miss dressed like a real Disney Princess while singing with her heart out coupled with innocent and charming expressions. She’s so cute and talented you could cry a river! It’s not surprising that this video has gone viral with over 1 million views. 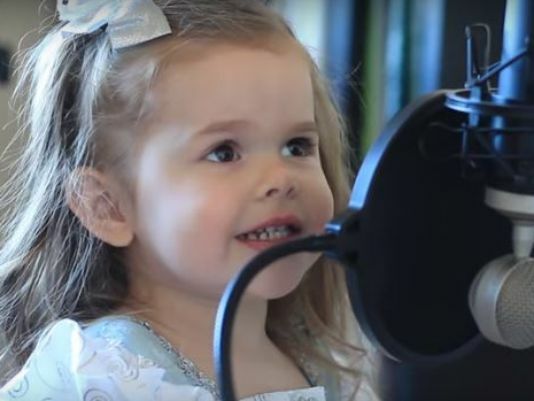 Watch the video of this three-year-old girl’s amazing rendition of Part of Your World. You might be stuttering in singing your favourite lines, let this little girl show you how’s it done like a pro! We couldn’t wait to watch more videos of Claire. I heard Claire’s cooking up her awesome version of Let it Go!